Come see the Altemps Palace and be blown away with marvelous art. 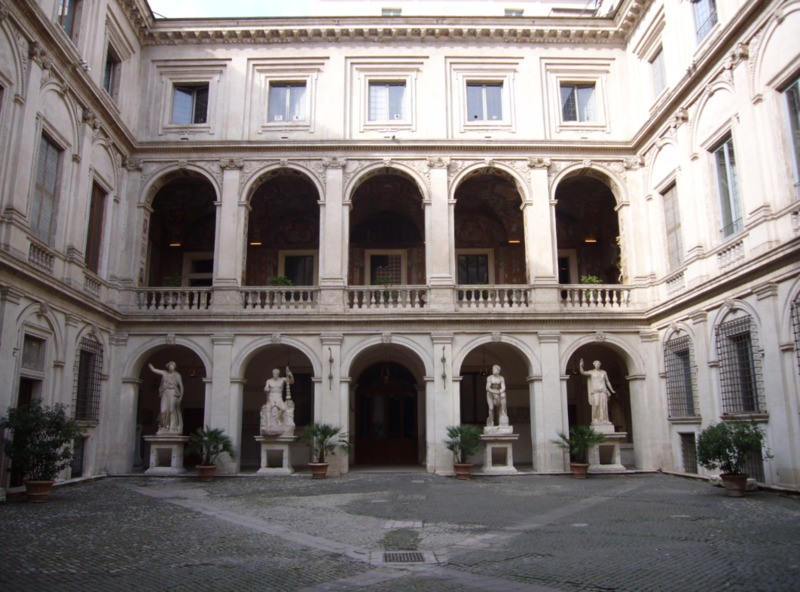 The Altemps Palace is a branch of the National Roman Museum, located in the Campus Martius in the heart of Rome. The building was constructed in the 15th century in dedication to Girolamo Riario, a relative of Pope Sixtus IV. Later on, the palace fell into the hands of the Altemps family, who became a family of nobility in Italian society. The art collections are stunning and definitely worth a visit. In the palace you can find sculptures, paintings, and books in the Altempsian library acquired by the noble family. In the courtyard are four stellar statues of Greek and Roman gods and goddesses that you don’t want to miss. The most remarkable aspect of the palace is the valuable Boncompagni Ludovisi Collection. The prestigious Ludovico family acquired many sculptures by Bernini and by the noble family itself. The Renaissance style palace is home to masterpieces of Greek and Roman sculptures as well as Egyptian statues of antiquity and authenticity. The rooms display various types of statues perfected by renowned artists. Get ready to explore this fabulous museum with a tour or on your own! The museum is typically never crowded so you can take your time admiring the work.